We are proud to introduce “Journal of Diagnostic Imaging” as the newest addition to the suite of journals at eJM Publishing. As you know some of our journals were accepted by high quality indexes at their first years. We aimed to response to a call from the scientific community for a specialized publication that would help synthesize and interpret the big issues in Radiology at the perspective of Human Disease, in a concise and accessible format. Our journal suite has expanded by new titles covering diverse topical areas in biomedical sciences. While research and publishing in biomedical sciences are increasing at an unprecedented rate, we believe that “Journal of Diagnostic Imaging” would be more important in providing information in prevention and treatment of diseases. Science is living in an exciting era for medical research and scientists try to discover / improve new imaging techniques. Besides these findings, radiological studies show new developments in imaging for diagnosis of diseases. Almost every day new findings about radiology were introduced to scientific literature, and we believe that we are going to be a strong voice to synthesize ideas across disciplines and drive this field forward. We would try to be a unique platform for open information, discussion and education for radiologists, scientists, public health specialists, pediatricians, gynecologists, oncologists and the endocrine community at large as well as general practitioners. Prevalence of chronic diseases and cancer are increasing especially in industrialized countries, and now, new imaging techniques required for early diagnosis. For this reason, the Journal of Diagnostic Imaging will present a new approach focusing on “disease – diagnosis interaction through all life” and this would be a bridge between cultures and medical disciplines and would have a potential impact of basic, translational and clinical sciences. 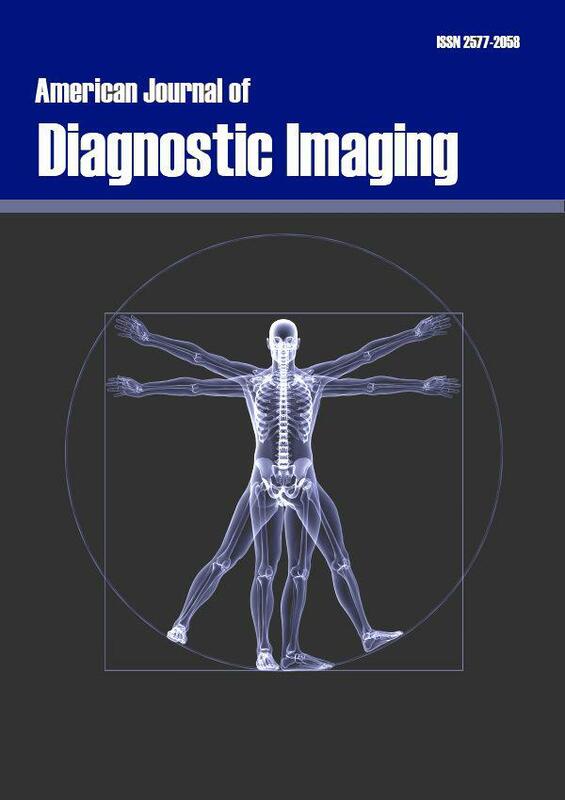 With the first issue of Journal of Diagnostic Imaging, we are also introducing the redesign of our journals. We will try to provide a more readable content to improve a modern-day reading experience. We have updated fonts and colors to help capture the essence of the article. But also please note that behind the scenes, we are working harder to bring you the best content. Launching a new journal is a big collaboration and there are many people to thank for their contribution and effort to bring this first issue to you. In particular, we would like to thank our launch team. We do hope that you will enjoy reading “Journal of Diagnostic Imaging” and we look forward to share more great content with you in the future!